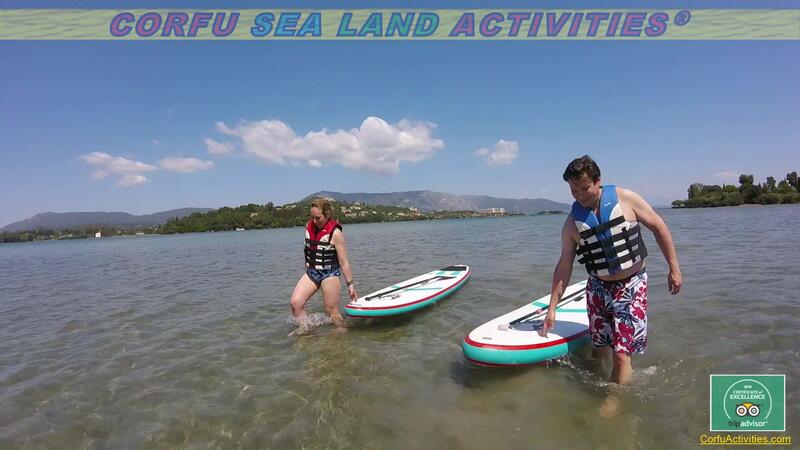 Activities / Services related to "Sup - Kayak"
“Garitsa Bay” is one of the most know bays on Corfu Island all through history. It is located on the east side of the island which actually has the highest possibilities of calmest waters especially in Summer. This bay It is very well protected from NW and SW wind gusts, which are the most common, so it is the ideal place under windy weather conditions to learn how to Stand Up Paddling. “Garista Bay” offers a great view of Corfu Old Fortress and it is one of the preferable places of yacht anchoring on the island after the Marina in Gouvia. 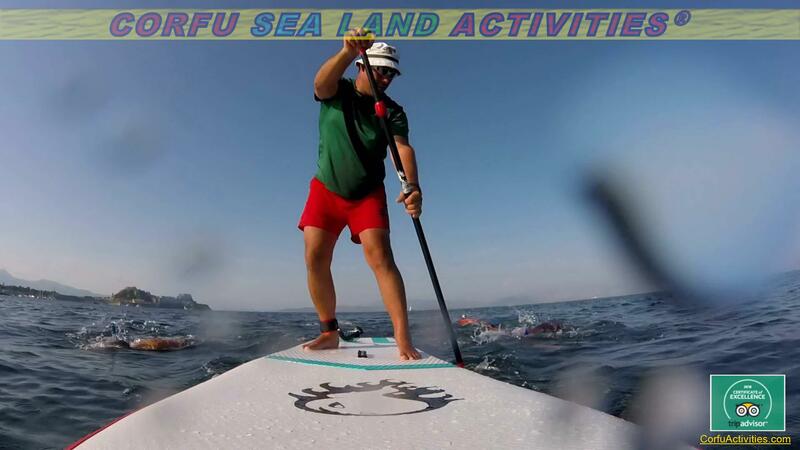 Our SUP school - tour involves paddling between the Old Fortress and the very well know place of "Anemomilos" (windmill) dock, offering calm waters, safety of a close bay, plus a historical panoramic. Let us row in one of the most calm and green bays of Corfu Island. The tour will commence close to the famous chapel of “Candlemas of Christ” while in the distance “Gouvia’s” Marina is clearly visible and full of leisure sea vessels. Our activity will follow the sea path towards the “Durrell’s family Villa” through a visit to the old “Venetian shipyard”. The ancient temple of “Kardaki” (510 b.C.) 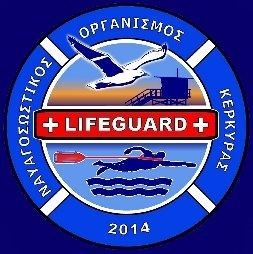 dedicated to an unidentified till today deity, possible Apollo, is named after the close by spring (“Kardaki”). Characterized by Doric, Ionic & architectonic styles of the “Magna Grecia” (Ancient South Italy) the temple is located close to the beach while the spring is even closer, almost at shore. The famous ancient historian “Thucidides” mentions in his books the “Kardaki” location by the name of “Meteora”. Our tour is actually taking place along the shore of this ancient temple. The coast we are paddling in modern times, is along a vast public garden, by the name of “Mon Repos”, where one century ago the British ruler had his mansion, and after him the ex-king of Greece had his “Summer” Palace. The point of no return of our tour is the “Kardaki” spring and thw stone old dock, a spot for public swimming and snorkeling. 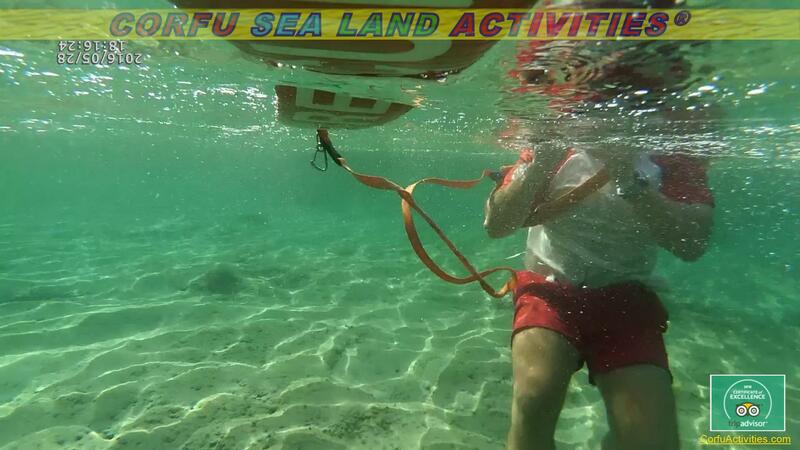 Sea bottom is full of a weed called “Poseidonia” and this presence demonstrates the healthy sea environment of this close to town region. "Corfu Town Old Fortress Tour"
Corfu town is characterized by the presence of two fortresses. One considered to be “new”, since the middle ages, and one “old”, perfectionated also in the middle ages, especially under the dominion of the city of Venice, but firstly build during the time of the “Eastern Romans”, a time well know in Europeans, as the “Byzantine Empire”. Today in the 21st century, we are willing to meet this big construction under a new perspective, and that is not on foot inside it, but rather while being at sea level, were the breeze will keep us alive and happy for the whole activity time. Visit this “defensive complex” using: a) SUP (Stand up Paddling) or b) Kayak Snorkeling equipment will be provided anyways! 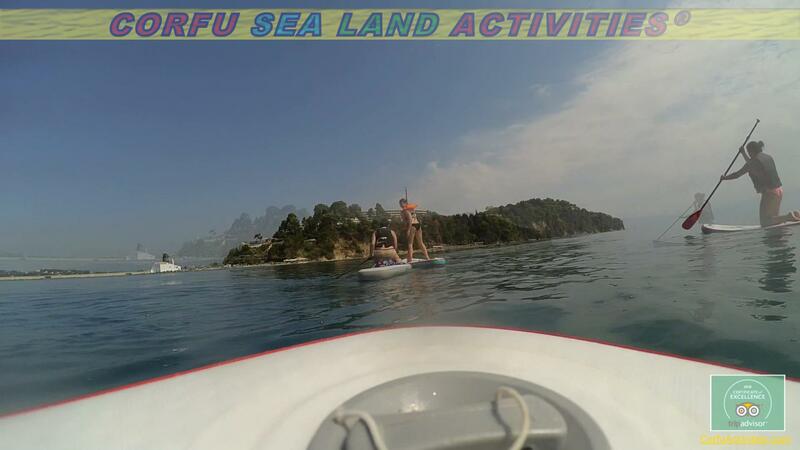 We will have a really great fun while stand up paddling or kayaking round the most famous small isle of Corfu, the so called “Mouse Island”, a name after its shape.Our target is a circle trip around that island. The west side is swallow waters, while the east is deep & this is the one with the most clear waters. We will also have time to stop on the south East side of the isle, the “Mouse’s tail” for a small but refreshing snorkeling brake.